and everyone awaits the spring to usher in the beginning of outdoor fun once again. Bursts of color gather around each home bringing summer into full swing, along with endless opportunities for gatherings and celebration. 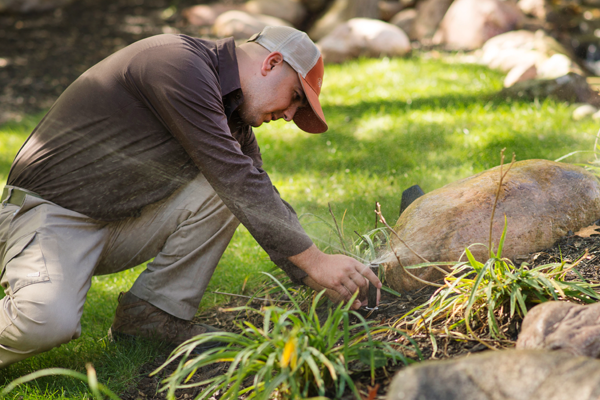 Summer means outdoor living, and that means taking as much pride in your landscape as possible. The backyard space is more than just a private patch of grass; it’s truly an artistic extension to the rest of your home. While some may prefer the DIY approach, others seek out the help of contractors and professionals to take on the job for them. Either way, luxury landscaping in Kansas City requires good design–after all, landscaping is truly an investment on your future property value, not to mention one that can improve your lifestyle. Swimming pools, outdoor kitchens, and patios are all common thoughts when asked about outdoor living. However, it’s just as important that this landscape is well maintained because even the most feature-packed outdoors area won’t be pleasant if it looks like you’re in the middle of abandoned woods. 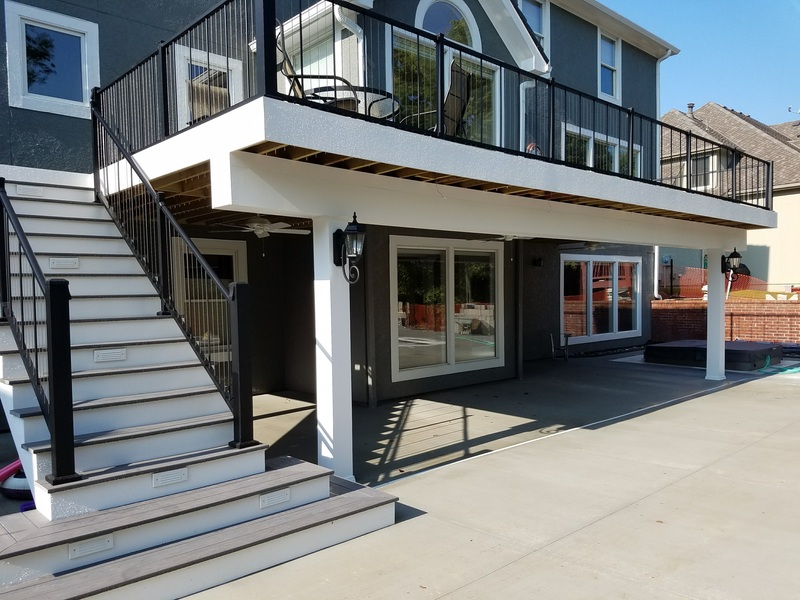 Between the garden spaces and pristine grass to the planters and planting beds, luxury landscaping in Kansas City can greatly add appeal and value to your home. Many homeowners seek out professional help in designing a landscape that is specifically made to complement their home while also reflecting the homeowner’s personal taste. 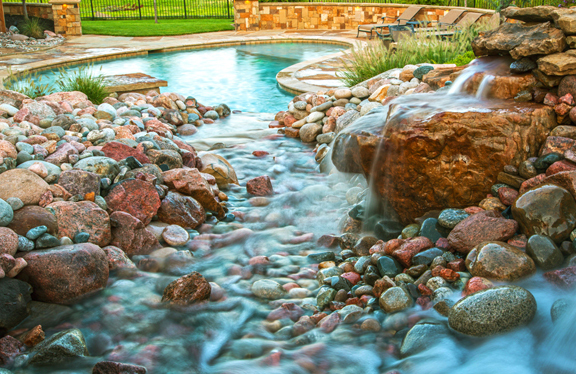 Like other forms of art, landscaping is a fully customizable and personal form of expression. Although some restrictions may come up, such as wildlife, sun exposure, available shade, soil, and property drainage, there is nearly an infinite number of ways to design any given space. Simply put, a luxury landscape design is a plan that is well thought out, executed correctly, and maintained regularly. Good landscaping can withstand all the seasons, while continuing to grow and change, evolving in its beauty over the years. By working with a skilled team and using all the correct materials, you’ll have little trouble coming up with a design that not only reflects your personal style and taste but will also reflect the unique beauty of your home.